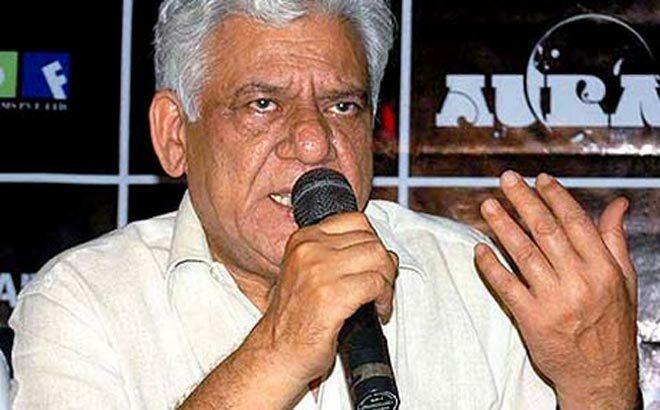 Mumbai Police are in search of actor Om Puri after his second wife Nandita lodged an assault case against him. In her complaint, filed at the Versova police station, Nandita said that her husband hit her with a rod after an argument over maintenance of their flat in Seven Bungalows in Andheri (west) on Thursday night. Police have booked the 62-year-old actor under IPC sections 324 (causing hurt by dangerous weapons or means), 504 (intentional insult to provoke breach of the peace) and 506 (criminal intimidation). The couple is yet to separate legally. Earlier, Nandita had filed a case against Puri in family court demanding maintenance from his. The Padma Shri award-winning actor has reportedly gone missing after the incident. According to police, Puri has been missing since the incident. Harishchandra Parmale, senior police inspector of Versova police station told that a police team had gone to arrest Puri but he was not at his home. Now the police are trying to trace him through his cellphone.